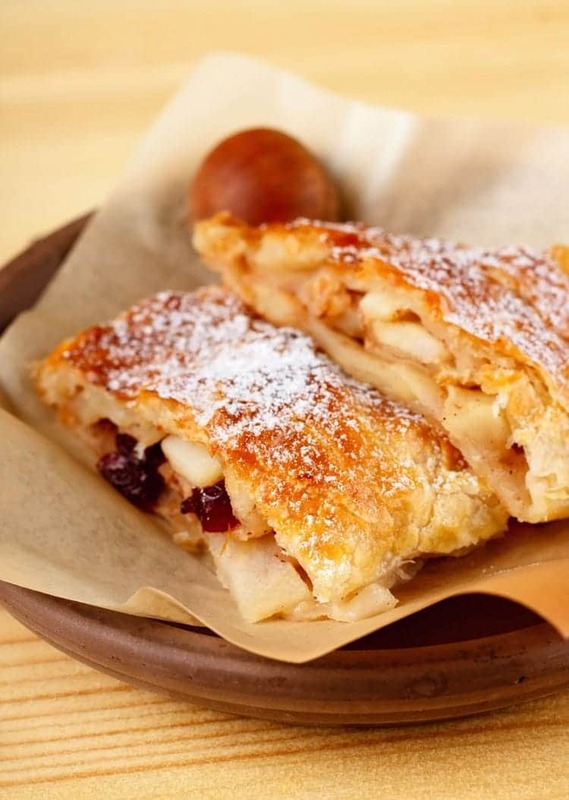 Growing up, I loved those Pillsbury apple turnovers, and it was always a special treat to eat them. I even had them in lieu of a birthday cake one year. Since going gluten free, there have been only a few glutinous things that I’ve truly missed enjoying. Apple turnovers are at the top of the list, so I had to learn how to make some for myself. Here’s my recipe for gluten-free apple turnovers, which is a perfect dessert for the Gluten Free Chicken Fried Rice that I shared last month. 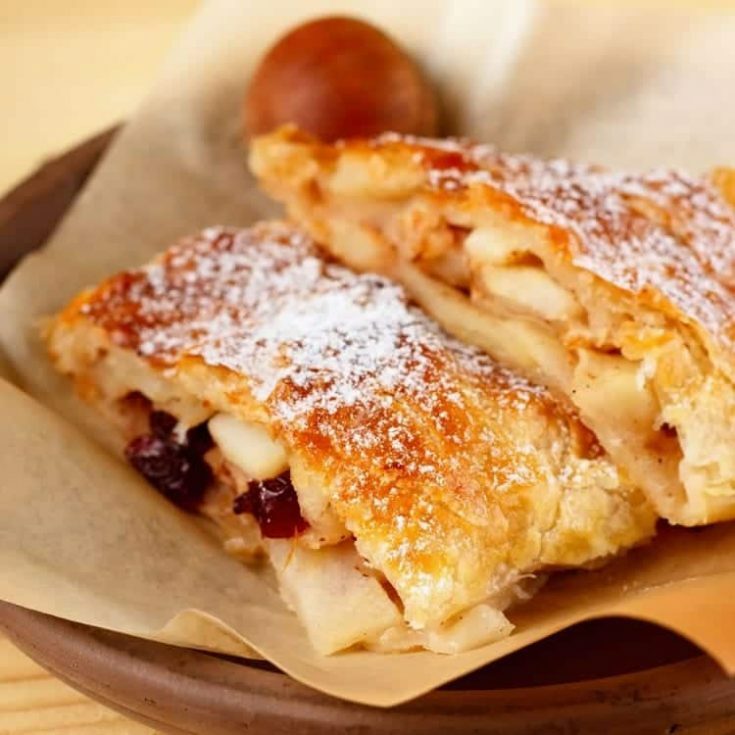 These Gluten Free Apple Turnovers are still more crumbly than regular turnovers, and the crust is a little thicker, since gluten-free pie crust is naturally dryer than regular crust. But the important thing is that they taste amazing, and they’re husband-approved! These turnovers can easily be reheated in the microwave, which makes them a great gluten free breakfast option. Just cover them and store the glaze in the refrigerator. Prepare the crust first, combining the flours, salt, sugar, and xanthan gum. Cut in the butter and shortening until the mixture is sand-like. Add in the water 1 tablespoon at a time, until the dough clumps together. Roll the dough into a ball and refrigerate for 45 minutes to an hour. While the dough is chilling, peel and cut up the apples. Add lemon juice and brown sugar to apples. Cover a cookie sheet with foil and spray with cooking spray. Once dough is chilled, roll it out to about 1 cm thickness on a well-floured surface (remember to use gluten free flour). As you work with the dough & keep your rolling board & pin well-floured, you may need to add a little cold water to the dough to keep it from getting crumbly. Spoon 1-2 tablespoons of the apple mixture onto one half of each dough circle. Fold over the dough and press closed with your fingers or a fork. Bake for 15-20 minutes, or until dough is golden brown. Let the turnovers cool for a few minutes while you mix up the glaze. Drizzle glaze over the turnovers, and dig in! Wondering if you’ve tried making your turnovers with pillsbury s ready made gf pie/pastry dough. Thinking of trying it ….